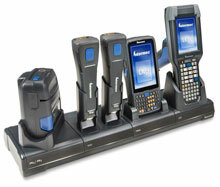 The Intermec FlexDock Modular Docking System brings a whole new ease to mobile-computer docking and charging. Bases provide multiple options for data communications and / or charging, and a common interface between cups and bays allows flexibility within a single dock base. You can tailor the dock to meet specific needs, such as: supporting a single type of mobile computer or battery, a mix of mobile computer types, or even a combination of mobile computers and battery packs, all within the same dock. 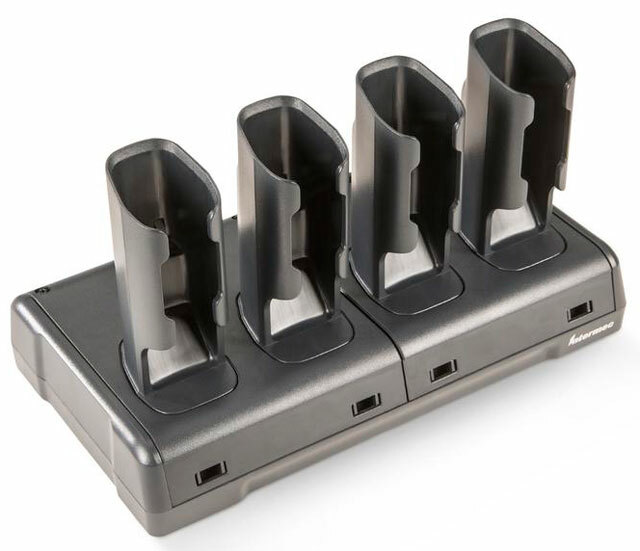 Single Slot Desktop Dock with battery well. Compatible with CK70/CK71/CK75 and includes NA Power cord.